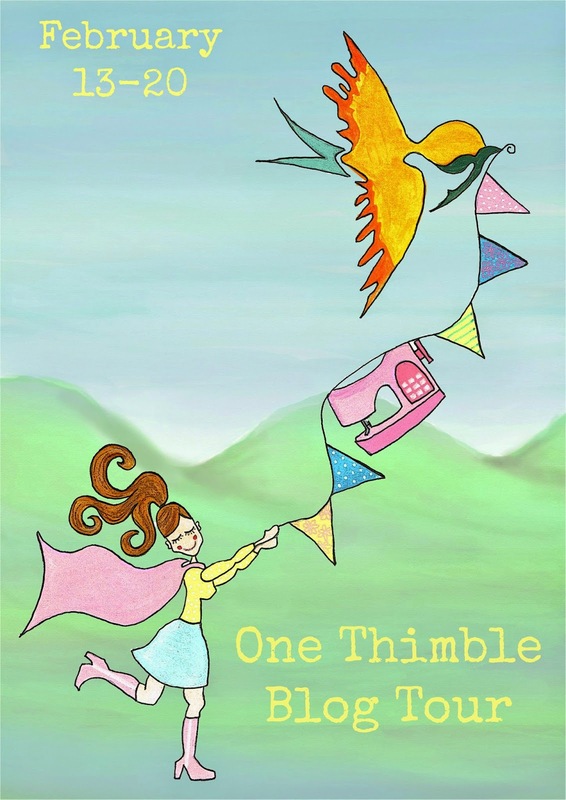 One Thimble Issue Six was just released and I was lucky enough to get a preview of one of the patterns included in this issue of the ezine. 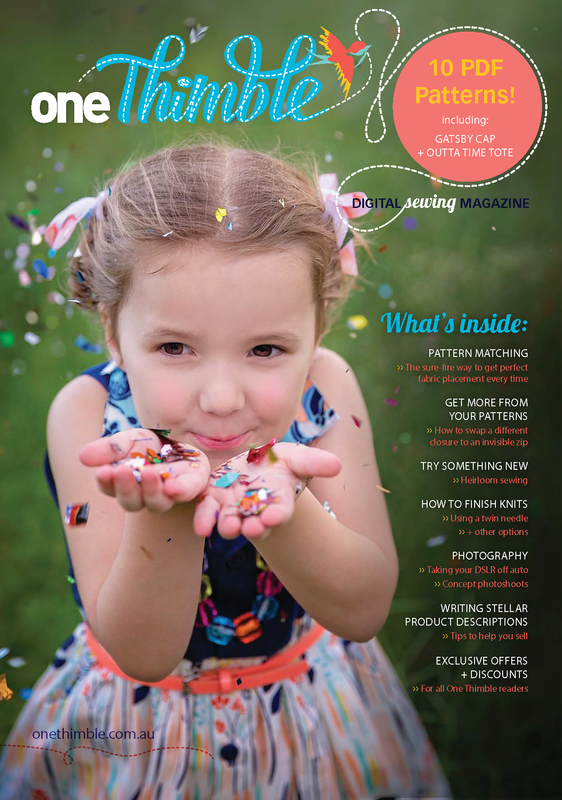 One Thimble is a digital sewing magazine complete with articles, tutorials, exclusive discounts, and of course pdf sewing patterns. I fell in love with the shape of the Hannah Dress, which is only one of the ten patterns included. 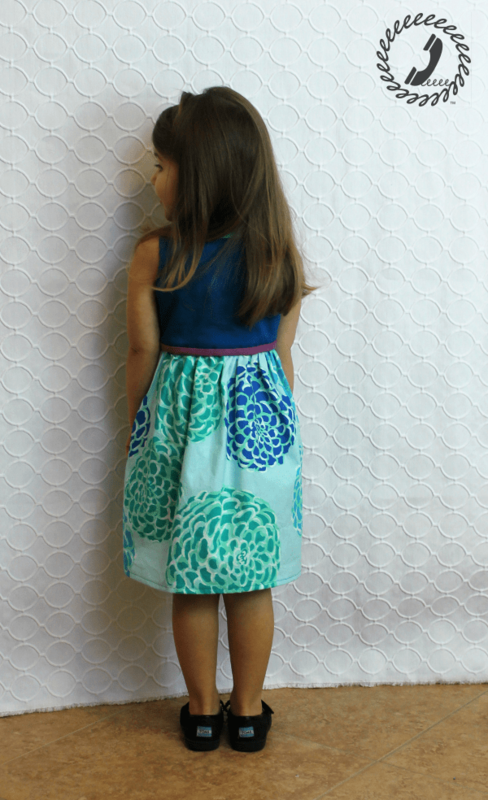 The Hannah Dress was designed by Bobkin for One Thimble. The sizes range from 1-8 and I made size 4 for Bean which turned out just right. There will be plenty of length for her to grow into over the next 6 months since I’m sure she’ll wear this a ton once warmer weather hits! The bodice is made with this azure color soft stretch Vera sateen (*affiliate link) from Imagine Gnats that I just adore. There’s a shine to it and the stretch is subtle, but adds an extra bit of comfort. The skirt and bodice lining use a quilting cotton I’ve had in my stash for ages. I only had a yard of it which wasn’t enough to make something amazing for myself, and yet when Bean was a baby the print was too large to use for her too. We’ve hit a sweet spot where a yard still goes a long way with her size, but the larger prints are finally accessible. I’m so happy that I saved it as I love how it looks in this dress. 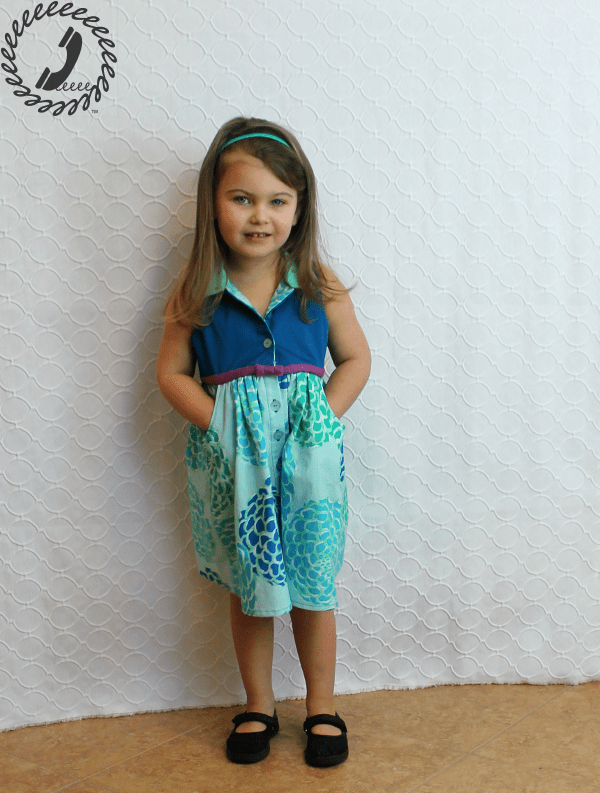 This full front placketed dress pattern was easy to put together. I pretty much whipped it up in a couple of hours. The only change I made was to make a contrast belt shape around the bottom of the bodice where it meets the skirt. I added a tiny bow detail at the front and instead of using a button at that spot I hand sewed a hook and eye so the bow could really stand out. The more I look at this dress the more I love it. There are pockets in the skirt which Bean is only just starting to get excited about. Of course what good are pockets if you don’t lift your skirt way up when you put your hands inside them, hehe. 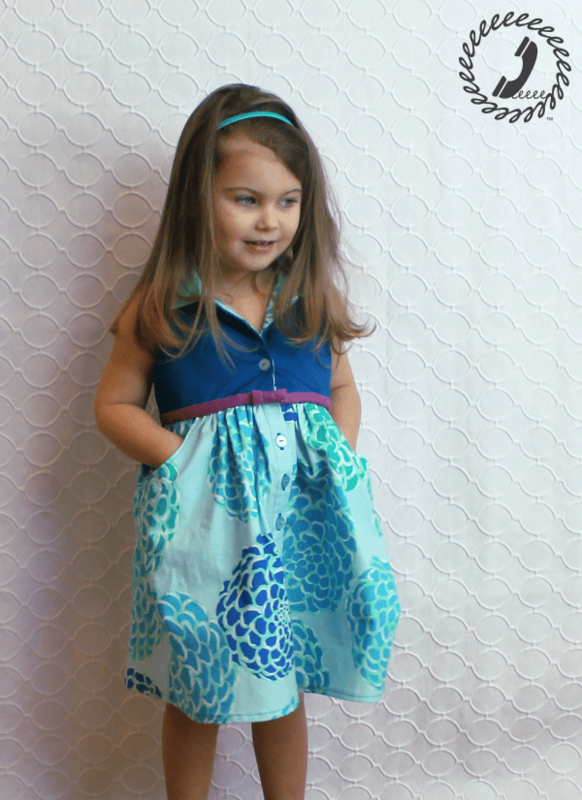 I have been itching for spring sewing lately and this dress was just the perfect thing to make. It was an easy sew (even with the button holes) and I am so pleased with the result. If you need more convincing that you need to get your hands on the most recent issue of One Thimble, check out the rest of the tour inspiration below! Completely adorable! Great fabric selections and I love the little bow. Love this!! 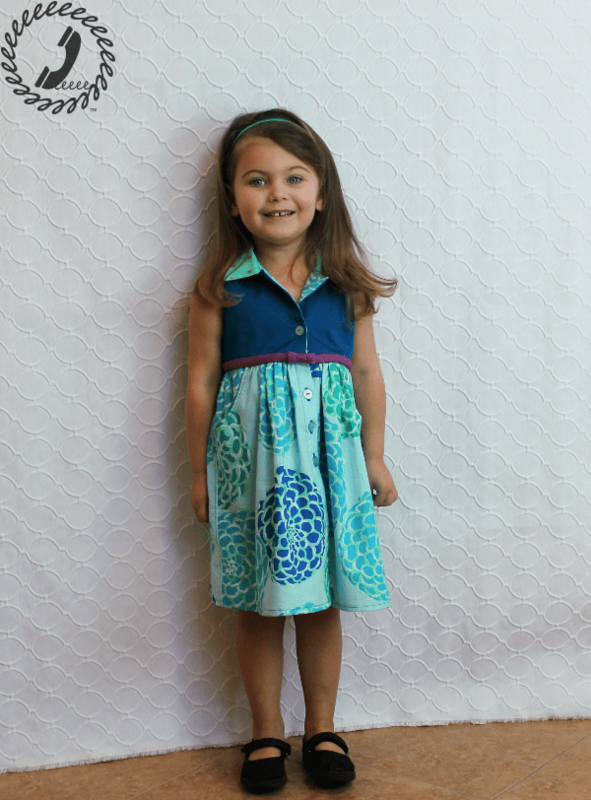 The fabrics and style is just perfect! I love the fabric for the skirt and how you didn't use it for the whole dress. 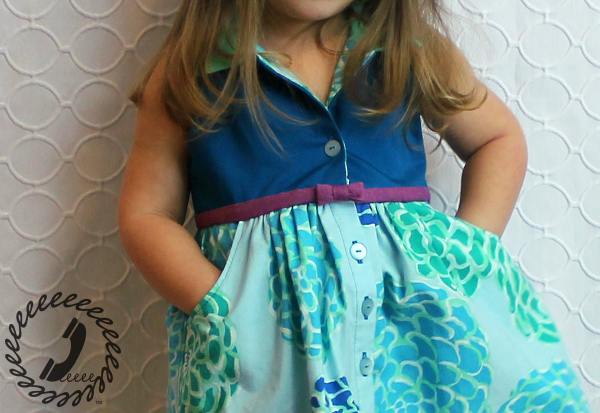 The more I see dresses with several fabrics the more I think I might want to make something for myself like that. And that backdrop fabric is fantastic! Just adoreable! love those fabrics! That little belt with the blow is killing me! Thanks Rachel! I'm so happy I saved that quilting cotton until it could be used for a skirt like this. 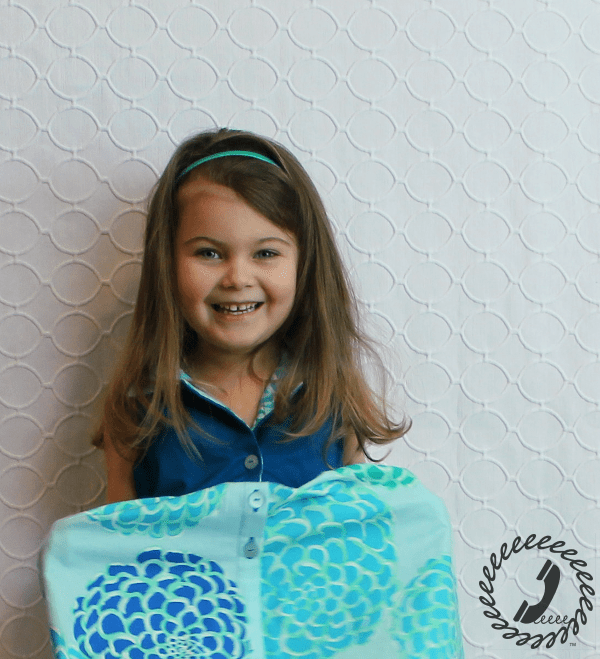 It's kind of exciting to start thinking about larger scale prints for the girls! I think I've looked at that a bunch of times for curtains and thought I should get it. Maybe it only comes in white and that's why I haven't bought it? I really like it though! !